Felix has been with the firm since its inception and is a founding partner. Felix is responsible for overseeing Beacon Pointe’s Institutional Consulting Services Group. In addition, he is a member of Beacon Pointe’s Investment Committee. As a consultant, his responsibilities included asset allocation, investment manager structure, and investment manager due diligence and evaluation. 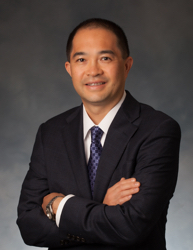 Prior to joining Beacon Pointe Advisors, Felix was Vice President at Canterbury Consulting. Felix began his investment consulting career as a member of the client service and consulting team for Wilshire Associates’ institutional fund management tool, the Wilshire Compass. His clients included large endowments and foundations, corporate, insurance, and defined benefit plans. Felix was an Eagle Scout, graduated from the University of California, Los Angeles with a BA, and received his MBA from the University of Southern California Marshall School of Business. He previously served as the Investment Chair for the Goodwill of Orange County, was a member of the Human Society of Silicon Valley Finance Committee, and serves as an Ambassador for Free Wheelchair Mission. Felix has earned the Chartered Financial Analyst (CFA) designation and is a member of the CFA Society of Los Angeles.